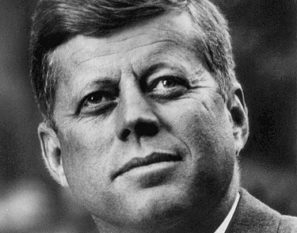 The John F. Kennedy Assassination Collection contains the National Archives and Records Administration’s complete collection of records on President John F. Kennedy’s assassination plus books, hearings, related works and scholarly articles on this topic. Brennan Center for Justice Publications: The Brennan Center is a nonpartisan law and policy institute that seeks to improve the systems of democracy and justice in the United States. The Center’s work focuses on a wide range of issues, such as voting rights, campaign finance reform, racial justice in criminal law, and Constitutional protection in the fight against terrorism. The Center’s law and policy scholarship is largely written by attorneys and is extensively peer-reviewed by scholars and legal practitioners. Gun Regulation and Legislation in America brings together essential periodicals, legislative histories, CRS reports, Congressional hearings, United States Supreme Court briefs, monographs and other materials covering the difficult and controversial topic of regulating firearms in the United States. Slavery in America and in the World brings together a multitude of essential legal materials on slavery in the United States and the English-speaking world. This includes every statute passed by every colony and state on slavery, every federal statute dealing with slavery, and all reported state and federal cases on slavery. Please stop by the reference desk to learn more about these and other resources and how to include them in your research!